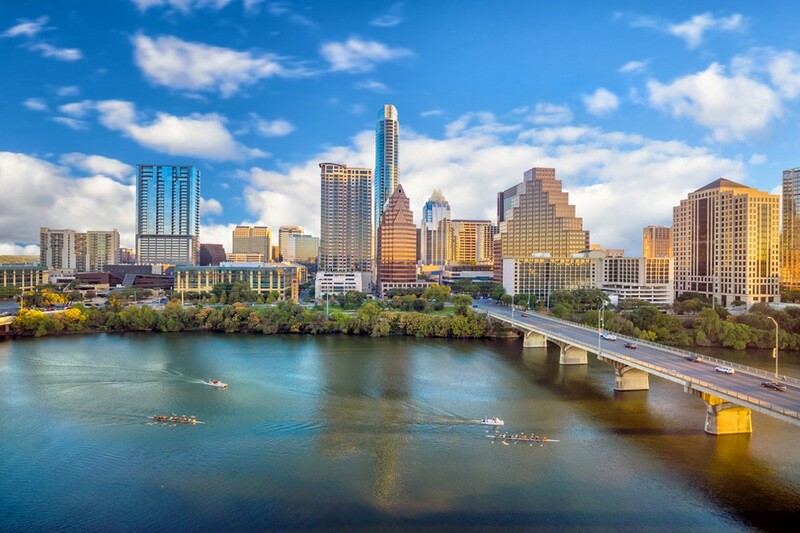 Geologists and geophysical experts gathered subsurface data to assist the City of Austin, Texas in developing an approach for an economically feasible southern route to permitted caves that minimized environmental impacts to the community. The City of Austin retained Weston to provide preliminary engineering services for approximately 15,000 linear feet of 54-inch water transmission main to connect the transmission main system between Parmer Lane and Mopac, with a final connection to the Martin Hill Reservoir. Weston’s 5,000-linear-feet segment directly connects to two other consultants’ 5,000-feet sections. The City of Austin required a transmission main connection between proposed Water Treatment Plant No. 4 (WTP 4) and the Martin Hill Reservoir as a two-fold approach for water service to the City of Austin residents. This project meets current and future water demands in this area. In the future, this transmission main connection will be required to help bring water from WTP 4, east. Weston developed a secondary southern route that will minimize impacts to permitted caves but will require additional length, tunneling through floodplain, and other environmental issues, such as avoiding trees and critical environmental features. We selected the route that had minimal environmental impacts. In an effort to exhaust avenues for the economically feasible route, Weston geologists and geophysical experts gathered subsurface data to assist the city in developing an approach for a “no additional impacts” finding from the U.S. Fish and Wildlife Service for the McNeil Cluster along the McNeil Road in Austin. Preliminary engineering included data collection for existing utilities and cave locations and field inspections to determine a feasible, cost-effective route. Alternatives were developed and analyzed based on an evaluation of selection criteria with appropriate weighting factors. The criteria comprised environmental issues: endangered avian species, endangered karst species habitat, impacts to known karst features, and impacts to trees, vegetation, and cultural resources. The routes were also evaluated on the following constructability and operations issues: creek crossings, existing utility conflicts, railroad crossings, working space accessibility, connection to existing system, permanent accessibility, vertical alignment variability (air handling considerations), horizontal alignment fittings (thrust restraint issues), and system reliability/redundancy. Finally, surrounding community considerations, such as impacts to residential development, impacts to commercial/industrial properties, McNeil High School disturbances, traffic impacts, and required easement acquisition were evaluated and scored. Preliminary engineering activities involved data collection for existing utilities and cave locations and field inspections to determine a feasible, cost-effective route. Finally, surrounding community considerations, such as impacts to residential development and impacts to commercial/industrial properties, were evaluated and scored, and the option with minimal impact was selected. Weston provided design, bidding and construction phase services. Construction was complete in 2015, and a warranty walkthrough was conducted in May 2016.